Mill Creek can be both a rewarding and exciting place to work. We are always looking for exceptional employees to join our team, who have a strong work ethic and a desire to serve the Senior Community. Mill Creek supports our employees in their professional development and growth. We encourage creative thinking, problem solving and teamwork. Apply today! Do you like helping people? Are you interested in working with Seniors? Do you need volunteer hours for your organization? 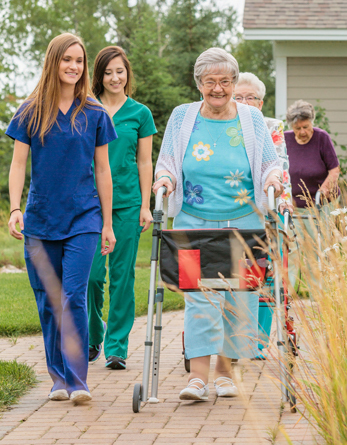 Consider spending time with the residents of Mill Creek! No matter what amount of time you have to offer, our residents would enjoy your company. We have a wide variety of activities to choose from!